Using heath-oriented applications supported by and delivered through the Internet, eHealth and mHealth strategies are part of the modern therapeutic arsenal. Among them, online health games cumulate the advantages of online support groups and telerehabilitation therapies in a playful environment. Furthermore, compared to health games not delivered online, they abolish geographical constraints and make it possible to simultaneously reach large numbers of individuals – health professionals and patients alike. However, online health games also raise several ethical questions which may hinder their practical efficiency and their expansion. Ethical challenges related to online health games echo some of the concerns already identified for online games and online spaces, operationalized in the particular context of health applications. This Chapter will summarise and address these challenges, ranging from the “out of the game” ethical challenges to the “in game” ethical challenges, and suggest practical recommendations in order to implement efficient, safe, and ethical online health games. Whatever the therapeutic strategy envisioned, patient engagement is one of the keys to insure the success of the therapy. 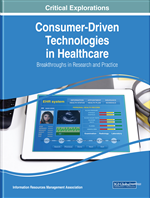 Reaching satisfactory levels of engagement has thus been a critical issue in developing eHealth and mHealth applications. By using game aesthetic and thinking and group-based mechanics, gamification processes help to engage people more strongly (Kapp, 2012). Indeed, computer games promote interactivity, and ultimately engagement from the player by promoting several aspects such as intrinsic motivation, cognitive apprenticeship, and flow (Dede, 2009). Compared to health games not delivered online, online health games abolish geographical constraints, and, in a context of limited resources, allow therapists to reach patients whatever the distance. They also allow patients to use the game in the comfort of their home, and in the safety of relative anonymity. Multiplayer online games – and particularly massively multiplayer online (MMO) games – add a social dimension to online health games. People using a MMO game are not just playing a game, they become part of a community (Guitton, 2012). Furthermore, MMO games make it possible to simultaneously reach large numbers of individuals – health professionals and patients alike, which is an important point when considering the potential benefits of a health game. Indeed, not only MMO games can promote peer-interactions, they can as well offer the possibility for health professionals to be part of the virtual world as agents. By allowing health professional to directly monitor the progresses of the patients, or to provide instantaneous support or advice in the virtual space of the game, this possibility considerably enhances the value of the therapeutic potential of the experience. Hence, MMO games cumulate the advantages of health games with those of online support groups and telemedicine-based distance therapies, in a playful and pleasant environment.